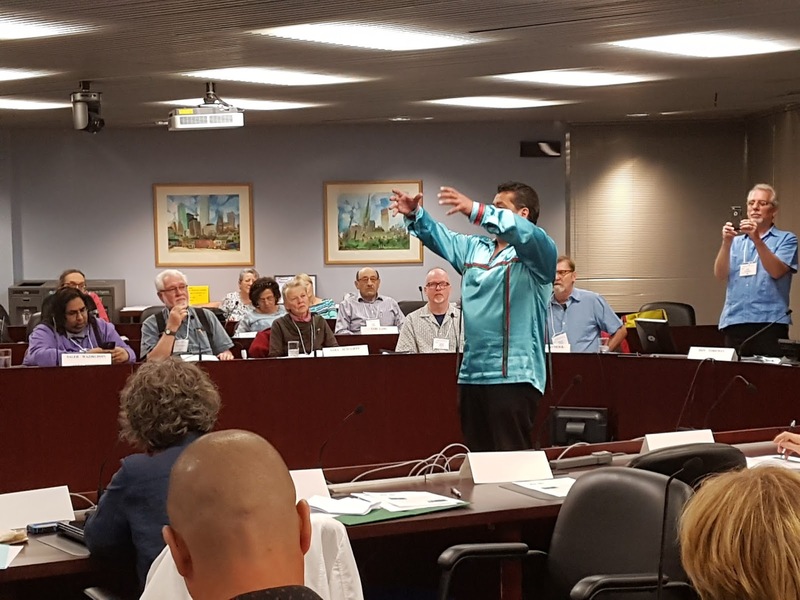 From June 3-4, 2017, Canada-Cuba solidarity and friendship organizations from across the country held the very successful 8th Biennial Convention of the Canadian Network On Cuba in Toronto City Hall. 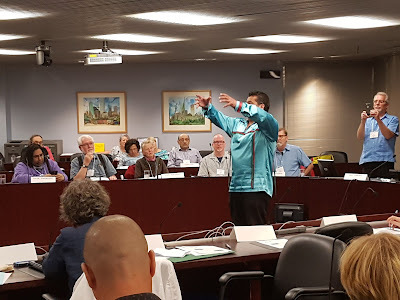 After the acknowledgment that delegates and guests were meeting on traditional and unceded indigenous territory, Chief Laforme of the Mississaugas of the New Credit First Nation opened the convention with a poignant message on the unity and fraternity of the world’s peoples. The Convention's delegates and guests then rendered homage to the late Fidel Castro, the historic leader of the Cuban Revolution, by a minute of silence. Invited guests included Deborah Ojeda (Minister Counsellor, Embassy of Cuba), Tania López Larroque (Consul General of Cuba), Sandra Ramirez Rodriguez (Director, North American Desk of the Cuban Institute for Friendship with the Peoples-ICAP), Yamil Eduardo Martinez Marrero (Canada Desk - ICAP) and other Cuban diplomats and guests. Messages of greetings were received from among others, Canadian Senator Pierrette Ringuette co-chair of the Canada-Cuba Inter-Parliamentary Group, the U.S. National Network On Cuba and Vancouver Communities in Solidarity With Cuba, who were unable to attend the Convention. The Convention also had the distinct honour and privilege of hosting Luis Morlote Rivas, Vice-President of the Cuban Union of Writers and Artists and a member of the Cuban National Assembly, which is Cuba’s national parliament. 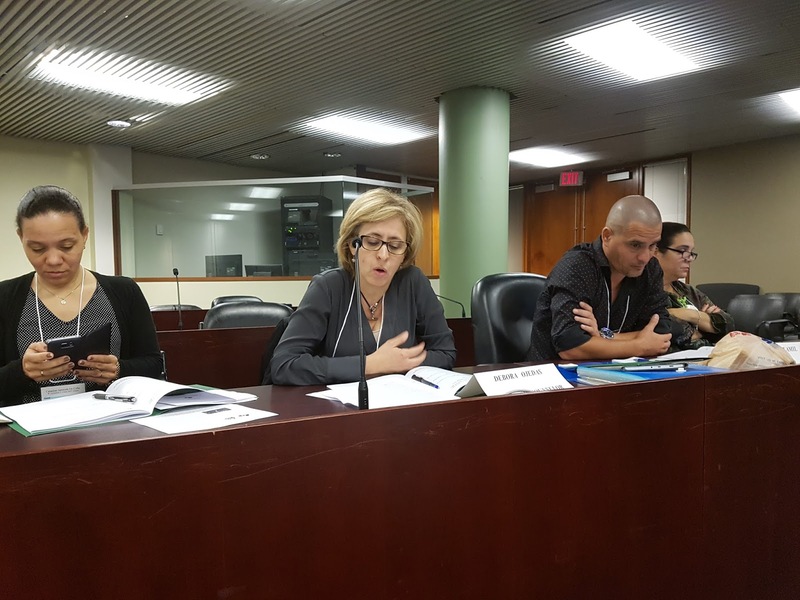 Moriote Revas had arrived in Toronto after participating in profound and detailed discussions by Cuba’s parliamentarians on the nation’s social and economic development. 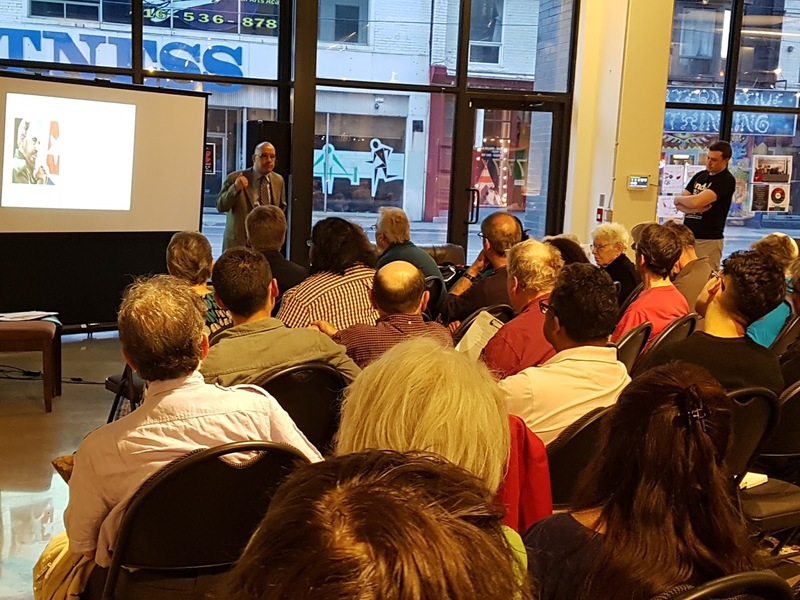 At the Saturday, June 3 evening public event, Cuba Moving Forward in 2017, he spoke to a packed audience at Friends House. During his presentation, he emphasized Cuba’s determination to renew its revolutionary and nation building project, while preserving its independence and sovereignty. He also stressed that Cuba would continue on its path of building a society of ever greater equity and justice. Roberto Chile, the world famous photographer, also, spoke about his acclaimed exhibit, Commandante, on Fidel Castro. The exhibit is now on display at the Embassy of Cuba in Ottawa, with future plans for a Canada-wide tour. Pre-convention event, Fidel! Cuba! Africa! In addition to plenary sessions, a pre-convention public lecture and three convention panels were also held. The Friday, June 2, pre-convention event, Fidel! Cuba! Africa! Africans Children Return! took place in front of a full house at A Different Booklist, where historian and Cuba specialist Isaac Saney explored the history and impressive dimensions of the Cuban Revolution's solidarity with Africa. The first Convention panel, Updating the Cuban Economy, featuring Deborah Ojeda and Isaac Saney, underscored the extensive democratic participation of the Cuban people as the country updates and renews its economy. On the second panel, Defend Cuba and Latin American Sovereignty and Independence, Sandra Ramirez Rodriguez and Filipe Stuart (Latin American and Caribbean Solidarity Network) outlined the historic victory for democracy, sovereignty and peace embodied in the Cuban Revolution. On the third panel, Building Solidarity with Cuba in Canada, panellists Don Foreman (Canadian Union of Postal Workers), Yamil Martinez and Nino Pagliccia (Communist Party of Canada) emphasized that despite the restoration of diplomatic relations between Havana and Washington, the U.S. economic war against Cuba continues unabated, and that opportunities exist to expand and elaborate solidarity with Cuba throughout Canadian society, especially amongst workers. During the plenaries and panels, delegates re-affirmed the CNC’s commitment to further deepen the Canada-Cuba solidarity movement, resolving to do the utmost to defeat the U.S. economic blockade of Cuba, end Washington's ongoing campaign of subversion and ensure the return to Cuba of the illegally occupied territory of the U.S. naval base at Guantánamo Bay. Delegates also highlighted the importance of the Canada-Cuba solidarity movement in ensuring that Canada-Cuba relations remain based on the international norms of mutual respect and equality between nations. Toward these ends, steps were taken to strengthen the CNC’s work. Several resolutions and initiatives were adopted that established the priorities for the next two-years, including, mobilizing Canadian public and political opinion against U.S. policy and acts of aggression against Cuba, organizing and supporting activities commemorating the 50th anniversary of the death of Ernesto “Che” Guevara, and strengthening the work with members of parliament and legislatures. Under this mandate a new seven member executive was elected: Iris Cogger, Julio Fonseca, Don Foreman, Elizabeth Hill, Michael O’Neill, Isaac Saney and Saleh Waziruddin. Elizabeth Hill and Isaac Saney were re-elected as co-chairs of the new executive. Subsequently, Isaac Saney, Elizabeth Hill and Saleh Waziruddin were re-appointed National Spokesperson, Treasurer and Secretary, respectively. At the Conventions’s closing, the CNC expressed its deep confidence that the Cuban people will overcome any challenges that it faces. The CNC also reaffirmed that the Cuban people can count on the ongoing and undiminished solidarity and friendship of Canadians. This solidarity and friendship is rooted in the overwhelming respect of Canadians for Cuba’s right to independence and self-determination, and a profound admiration for what the Cuban people have accomplished despite facing the unceasing aggression of the United States. This respect and admiration have forged unbreakable ties between the people of Canada and Cuba.